Special thanks to Signal Labs member hdtvfan0001 who graciously provided images to this review and to reviews at iamanedgecutter.com. 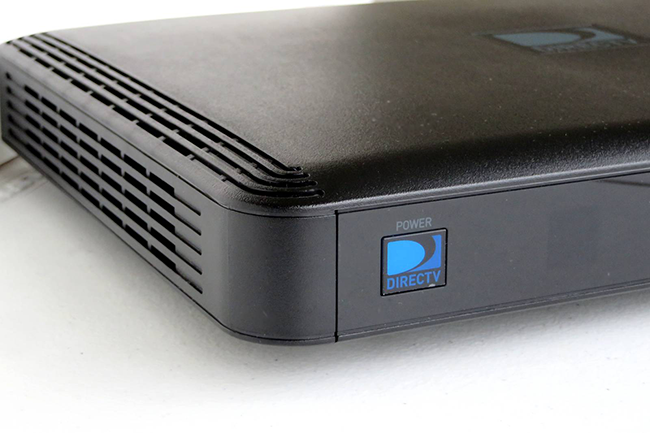 DIRECTV’s newest DVR could be hiding a big secret. 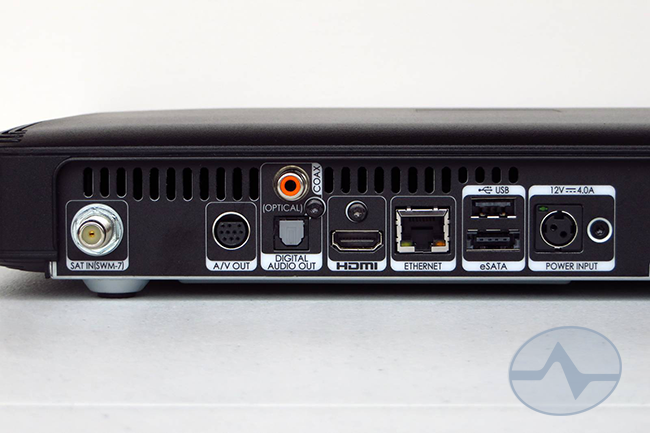 The HR54 Genie DVR looks an awful lot like an HR44, but inside it’s completely different. It’s based on the latest Genie architecture, but with a twist that wasn’t quite ready for testing when we got our look at the prototype. It is certainly the most advanced DVR ever from DIRECTV, but it’s also missing key features from HR44 and early DVRs. It’s a bit of a contradiction, so let’s look a little closer. This review is available in PDF format for offline viewing and printing! Download it here! The HR54 has most of the same capabilities as the HR44, but does away with several obsolete and unnecessary parts in the interest of speed. Externally it’s a very close cousin to the HR44, but don’t try to use the front buttons. Gone is the touch-sensitive front panel, replaced by a single physical button similar to that found on the C41 Genie Mini Client. There’s a record light just to the right, but the rest of the front panel is nothing but sheer black. The access card and reset button have been relocated to the side, and the front loses its (useless) USB port. Looking at the back of the HR54, there are a few things missing. There’s no phone jack, meaning caller ID issues are a thing of the past. DIRECTV was rumored to have been experiencing problems with third-party VOIP systems and that may be the reason the phone line was finally dropped. Or, maybe it’s just a nod to the fact that people don’t use landline phones much anymore. The component and composite connections from the HR44 are gone, replaced by a single connector. This 10-pin jack can be used for the H2510PIN or 10PINCOMPOS cables if you do need to connect another TV. Luckily, optical audio still remains, as does the USB connector for the AM21 antenna module. The HR54 uses the same EPS44 power supply as other Genie DVRs. The HR54 is capable of providing 21v output to power a SWM-enabled dish. 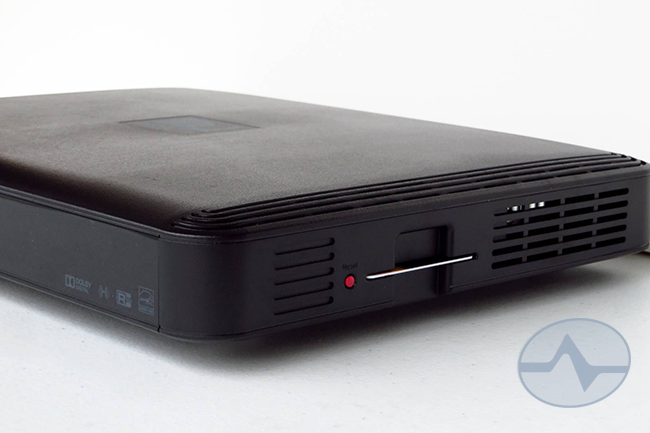 Voltage is provided only when a dish is present, and this DVR will not power an external SWM. Did you notice what it said under the coax input? It says SWM-7. In tests, the HR54 acted just like any other 5-tuner DVR. DIRECTV isn’t known for putting typos on its products so there has to be another explanation. DIRECTV engineers were tight-lipped about the use of additional SWM channels. Putting the HR54 into a DIRECTV system with only 5 available slots didn’t cause an error, either. The rumor is that this is the first DVR capable of recording satellite-delivered 4K, and that somehow those other SWM channels would be used. It’s been suggested that the bandwidth needed for a full-resolution 4K image might exceed what’s available over a SWM channel, and that multiple channels bonded together might be needed for such a broadcast. For now, it’s all a big secret. The HR54 Genie performed flawlessly in tests. It works with the AM21 antenna module, connects over Wi-Fi, and worked with a variety of older equipment in the network. Like other Genies, it works in both IR and RF remote mode at the same time. Unfortunately, it’s a little louder than the HR44, but only slightly. It’s a little more possible to hear the thump-thump of the hard drive as it works, but compared to the hard drive of an HR21 or the gigantic fan of an HR34, it’s practically silent. For those who were hoping for a quantum jump to 8 tuners or more, the HR54 is bound to be a disappointment, and certainly folks with older systems or who really enjoyed caller ID will be a little bummed by the lack of connections on the back. The same people might be saddened by the 1TB hard drive inside, even though it still amounts to 200 hours of HD recording. An external eSATA port could let you expand that to almost limitless numbers. The HR54 has felt noticeably snappier than an HR44 Genie and part of that may be the lack of support for older technologies. There’s only so much processor time to go around. At least some people here at The Solid Signal Blog will be glad to know that the HR54 still supports PIP, even though the feature isn’t incredibly popular. While the HR54 Genie may one day be capable of recording 4K broadcasts, there is some question as to whether or not it will be able to display 4K. Early diagnostic tests revealed that the output of the Genie is still HDMI 1.x. It wasn’t possible to tell whether the hardware exists to turn on HDMI 2.0 for the full 4K/60 experience, but if the HR54 does get HDMI 2.0 later it wouldn’t be the first time DIRECTV pulled this sort of capability change on an existing receiver. That’s the thing, without 4K capability in the sky it’s impossible to know what any piece of hardware is truly going to be capable of. All in all… the HR54 comes across as evolutionary, not revolutionary, at least until the mystery of its 7-channel SWM requirement is resolved. It’s faster, more efficient and simpler than any DVR before it, and it doesn’t sacrifice much even for people with older systems. 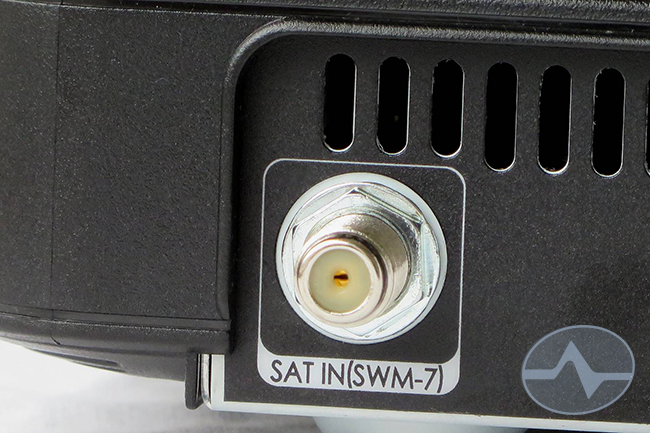 It’s a worthy addition to any DIRECTV system, but you might want to consider making sure you have seven available SWM channels. You know, just in case. Here’s a quick video showing the HR54 Genie… don’t forget to shop at SolidSignal.com when this new DIRECTV DVR becomes available! Do you need a Slimline-5 Dish for tailgating?